Merida and the Yucatan...a place to Start right here ! Is it safe to own a home in Yucatan and leave it unoccupied for part of the year if I am unable to rent it? The Yucatan is very, very safe, and we see few break-ins. It is unlikely that your property would suffer any damage of any kind. Insurance is also available and inexpensive. Violent crimes in Mexico are very rare and Merida and the Yucatan are considered by most people to be one of the safest places on earth to live. In Merida, you can walk down any street in Centro day or night without worrying about purse snatching or muggings. WHY? First there is a different philosophy of law and order. The Mexican approach is based on the Napoleonic Code rather than English Common Law. Therefore, instead of being innocent until proven guilty, a person must prove their innocence or take the penalty. Thus, people in Mexico tend to be more careful and concerned in their dealings with others and in their behavior. A second factor (especially in the Yucatan) is that it is primarily a family and community oriented society and there is very little juvenile crime and delinquency. For example: on weekends, instead of the youth driving around, drinking and looking for trouble; they go to many of Merida´s town squares with their parents and family. In Merida, you can see teenagers escorting their Grandparents and even dancing with them in the Zocolo. In addition, neighbors (both Mexican and foreigner) watch out for each other and keep an eye on each other´s property while they are away from home. EAT THE FOOD WITHOUT GETTING SICK? In Merida, you can find a wide variety of restaurants from fast food to five star. Merida also has a huge number of street vendors…all of which are safe. However, we would recommend you drinking bottled water. Merida has a large variety of grocery stores and many local market places with a pretty large selection of fresh fruits, vegetables and produce that truly make shopping a lovely experience. The Mexican climate provides year round growing so that berries, melons, mangos, pineapples, avocados, bananas, lettuce, squash, etc. are picked for the market when fresh and are delicious. ARE THERE SOME GOOD VETS? Dogs and cats with a veterinarian´s certificate indicating updated immunizations can be brought into Mexico without any quarantine. The vets in are all well trained, inexpensive and even make house calls at no added cost. We would be more than happy to give you some phone numbers of confident vets. There are probably three reasons why it is called the White City: (1) the inhabitants generally wear white guayaberas, huipilles and Panama hats, (2) there is a white lime mixture that is used to spread on most of the roof tops to make them watertight and (3) the cleanliness of the city. The streets, plazas and parks are generally cleaned every day. 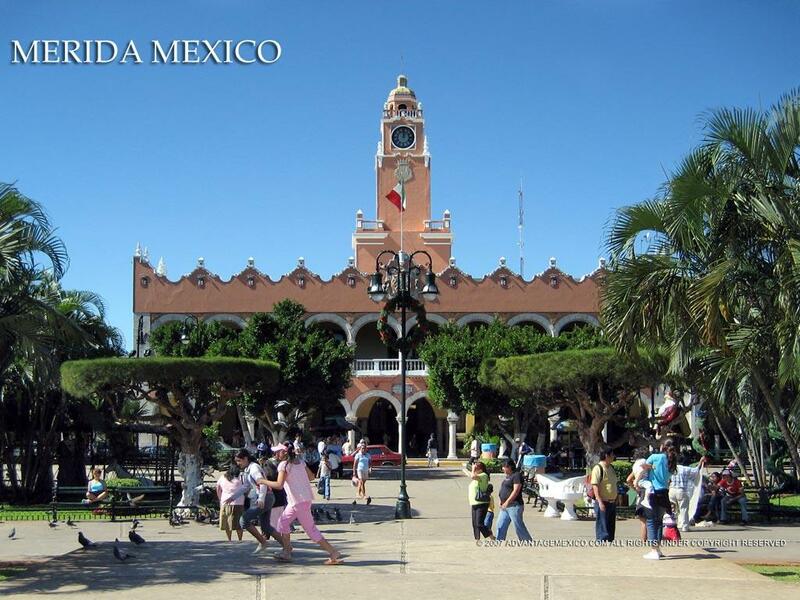 Merida, the colonial capital of the Yucatan was founded by Francisco de Montejo (a Spaniard) in 1542. 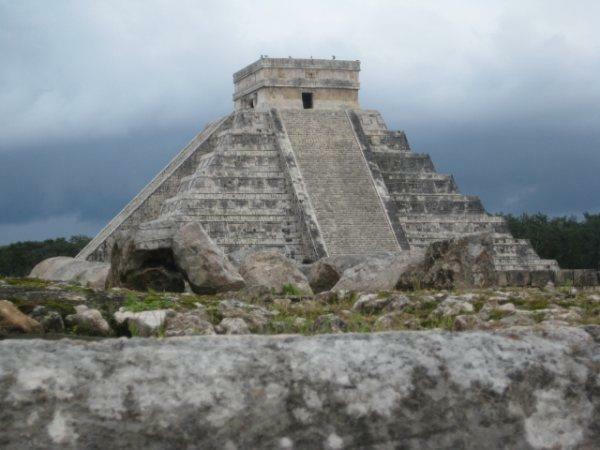 When the Spanish arrived, they conquered the Mayan city of T´ho or Ichcansiho, tore down the pyramids and used the huge stones to build the foundation for the Cathedral of San Idelfonso. The Spaniards enslaved the Indians and built grand houses, offices and cathedrals. Merida became the capital, trade center and seat of civil and religious authority of the Peninsula. The Indians finally rebelled in the 1840´s ( the Caste War). Merida today has about 1,100,000 residents and is a very cosmopolitan city with Mayan and Spanish descendants and is an extremely cultural city with many museums, libraries, theaters, numerous universities, etc. 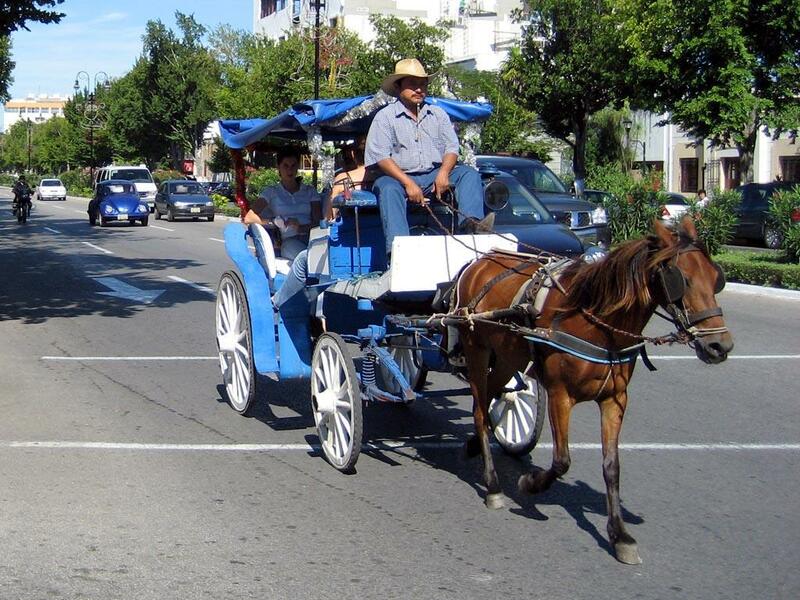 The economy that was once based on the henequen industry is now based on tourism, agriculture and fishing plus Merida´s export business is increasing every day. Some of the items exported are honey, sisal rope, petroleum products, hammocks, fine jewelry, concentrated orange juice, fish etc. Residents call Merida "the Paris of the West" because of it´s tree lined boulevards, colonial mansions and estates of the henequen barons of the 1800¨s. There are many things to see in and around Merida. It is an easy drive from Merida to beaches, Mayan ruins, haciendas, etc. One of the nicest things about Merida is its people. The Yucatecan people are hospitable, honest, easygoing, hard working and make wonderful neighbors. GOOD MEDICAL AND DENTAL FACILITIES? YES! Merida has numerous hospitals that are staffed by well trained physicians, most of whom were trained in the United States. The hospitals in Merida are considered among the best in Mexico. Wonderful, inexpensive dental work is also available in Merida. Many Americans and Canadians have been taking advantage of this for years. Also within the past five years, a growing number of Americans and Canadians have been coming to Merida for plastic surgery. We would be more than happy to refer you to competent doctors, dentists and plastic surgeons in Merida.